There have been rumours that Apple could be working on a seventh generation iPod Touch and now, reference to the device has been discovered in the latest iOS 12.2 beta. Apart from that, four new iPad variants have also been spotted within the code of the latest beta software. It is possible that we could see these new devices being launched later this year, perhaps during WWDC 2019. However, the references for the new iPod touch and iPad models are missing some important features. A total of four new iPad variants were discovered with model numbers iPad11,1, iPad11,2, iPad11,3 and iPad11,4. These variants had both the Wi-Fi and Wi-Fi + Cellular models, but all these devices lacked details about Face ID. Could it be that Apple is reserving Face ID tech just for the more expensive iPad Pro? Alongside the new iPad models, references to the seventh generation iPod touch with model number iPod9,1 was also discovered. It revealed that the new iPod touch may not feature both Touch ID or Face ID. The last iPod Touch was released in 2015 and hasn’t been updated since then. Even that model did not have Touch ID, so it is possible that Apple may not add the tech to the new one. Either way, it is too early to tell and the references in the iOS 12.2 code do not really reveal a lot. We will just have to wait to find out more. Several other new features have also been spotted on the latest beta build of iOS 12.2. Recently, we told you how the beta revealed that upcoming AirPods 2 could feature ‘Hey Siri’ integration. Well, it has also been discovered that Apple’s News subscription will most likely go live with the release of the new update. 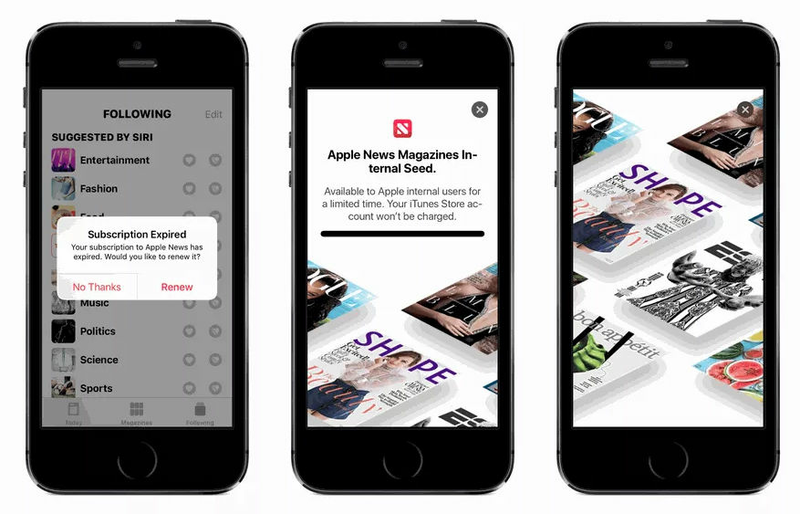 A preview for the News subscription service was discovered in the latest beta, which will allow users to subscribe to magazines and papers by paying a monthly fee. The update should also provide better controls for the Screen Time feature, allowing users to adjust it for a certain day.